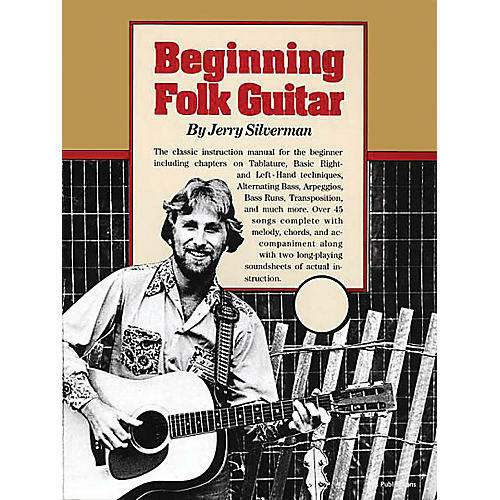 This classic instruction manual for the beginning folk guitarist includes chapters on tablature, basic right- and left-hand techniques, alternating bass, arpeggios, bass runs, transposition, and much more. Basic information and direction on chords and various techniques of playing are included, going into great detail and proceeding slowly with the crucial first stages of study so that the student may emerge from his first few months with the guitar with a solid foundation of basic techniques. Extensive folk song material to use in practicing and developing technique are also included - over 45 songs are presented in melody, chords and accompaniment. Songs include: Banks of the Ohio oh · Sinner Man · Buffalo Girls · Erie Canal · Frankie and Johnny · Careless Love · and more.